28 Aug Flooring through the Years: Introducing Vinyl! According to an article in the Christian Science Monitor, resilient floors include such pliant floor surfaces as rubber, linoleum, or vinyl. Rubber floors first appeared around 1200 and remained popular until the 1600s. An English rubber manufacturer, Frederick Walton, noticed how linseed oil formed a leathery skin on top of paint. In 1863 he patented linoleum, still made by mixing linseed oil with powdered wood or cork (or both), resins, pigments, ground limestone, and drying agents. Rubber, cork, and asphalt tiles were developed in the late 1800s and early 1900s. Laying different colored tiles was a popular way to make geometric designs. Soon an “accidental” discovery led to a floor surface that quickly replaced these soft tiles in popularity. In the late 1800s, European researchers combined a gas called vinyl chloride in a mixture that resulted in a rigid material. No one could think of a good use for it, though. In 1926, American inventor Dr. Waldo Semon was trying to bond rubber to metal. He tried using the vinyl chloride mixture with other chemicals. His first attempts resulted in wisps of gas and an occasional explosion. Eventually he created what we now call PVC (polyvinyl chloride) or vinyl. It was first used in shock absorbers. Later, it was used to develop synthetic tires. Used to insulate wires during World War II, it became popular as a floor covering after the war. Today, sales of resilient flooring are second only to carpet in the United States. But you aren’t limited to just one choice. Many people prefer an easy-to-clean vinyl or tile in the kitchen or bathroom, and wood, rugs, or carpeting in other rooms. 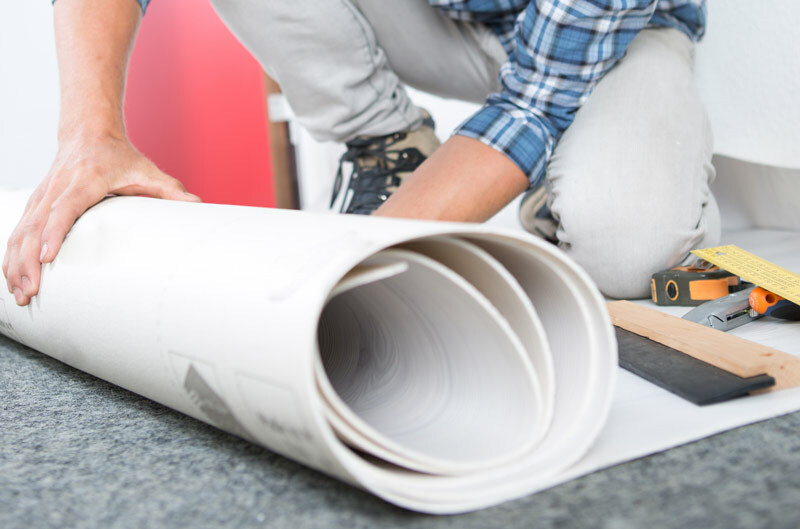 When you’re looking for flooring in Boca Raton or flooring in Pompano Beach, search no further than the full service flooring professionals at Kuhn Flooring. In fact, Kuhn’s vinyl flooring gallery features the fastest growing technology of luxury vinyl. Our extensive collection of luxury vinyl will bring beautiful style, durability, and comfort to your home at an affordable price point. This multi-use surface offers the true look of wood and is water resistant, durable, pet friendly, and installs so conveniently! You might also want to visit our vinyl flooring gallery if you are seeking flooring solutions for commercial spaces. The same advantages of vinyl flooring that apply to the home also make it an attractive option for businesses. It’s remarkably attractive, incredibly durable and can easily transform an otherwise drab space into something that your clients or customers will notice when they first enter your business. You can find Kuhn Flooring Gallery in two convenient locations. The West Gallery is located at 12504 Wiles Road in Coral Springs, while the East Gallery is at 5060 North Federal Highway in Lighthouse Point. 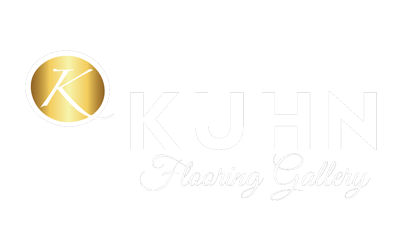 Kuhn Flooring Gallery has been serving South Florida for over 30 years. In both locations, our exceptional team of professionals and color design representatives is dedicated to quality and the utmost in personal service for the entire duration of your project. Our culture is based upon one on one focus, attention to detail, the latest trends as well as timeless classic styles, and understanding and providing your desired result.